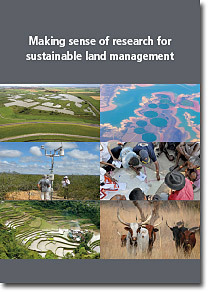 Land use is a key driver of global environmental change. Unless major shifts in consumptive behaviours occur, land-based production will have to increase drastically to meet future demands for food and other commodities. 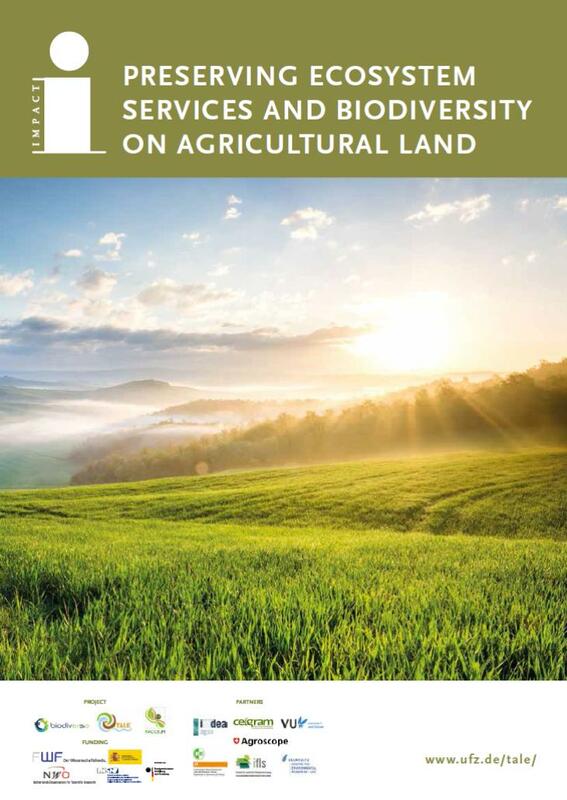 One approach to better understand the drivers and impacts of agricultural intensification is the identification of global, archetypical patterns of land systems. Current approaches focus on broad-scale representations of dominant land cover with limited consideration of land-use intensity. In this study, we derived a new global representation of land systems based on more than 30 high-resolution datasets on land-use intensity, environmental conditions and socioeconomic indicators. Using a self-organizing map algorithm, we identified and mapped twelve archetypes of land systems for the year 2005. 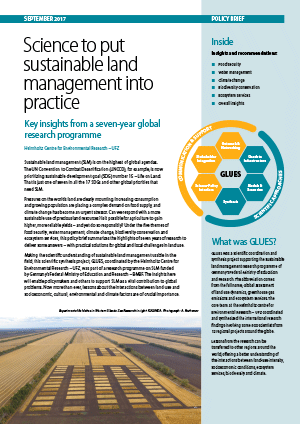 Our analysis reveals similarities in land systems across the globe but the diverse pattern at sub-national scales implies that there are no ‘one-size-fits-all’ solutions to sustainable land management. Our results help to identify generic patterns of land pressures and environmental threats and provide means to target regionalized strategies to cope with the challenges of global change. 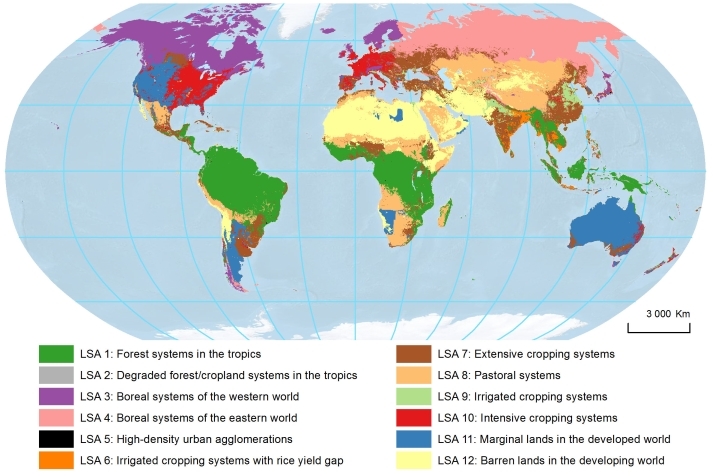 Mapping global archetypes of land systems represents a first step towards better understanding the global patterns of human–environment interactions and the environmental and social outcomes of land system dynamics.